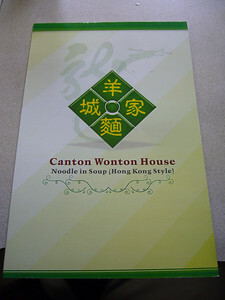 We snuck out today with a reasonable sized group since we were headed for a tiny noodle shop called Canton Wonton House. We have found many great noodle shops in our tour so our hopes were high that we were about to find another. Do they use MSG? : A little bit. I have to tell you... I've actually been pretty excited to come here. The lovely Loufel(sp? ), who cuts my hair at the Rudy's Barbershop in Ballard, recommended this restaurant. The dumplings were fresh and delicious. Sui-Kau have a little something extra over Wontons, and are always just a shade tastier. The BBQ Pork in the soup was actually pretty bland and there were precious few pieces. I shouldn't have expected the pork to be too great because this place didn't have its own meat in window. If you're in the mood for some noodle soup in the ID, this place is a great choice. 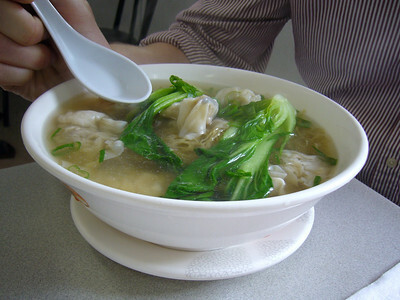 Canton Wonton House is similar in size to HHKC or Szechuan Noodle Bowl. They also all share the same interior design style of "less is more". 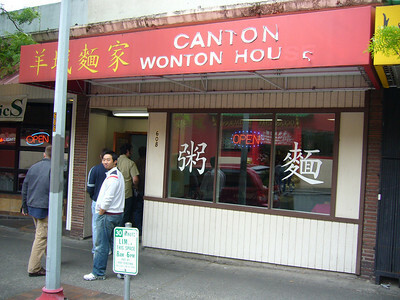 Canton Wonton House is a perfect example of at least the "less" part. 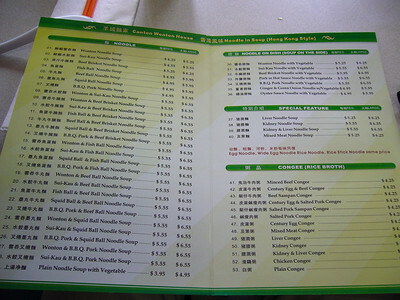 The menu options are limited to noodle soups and a short selection of congee. 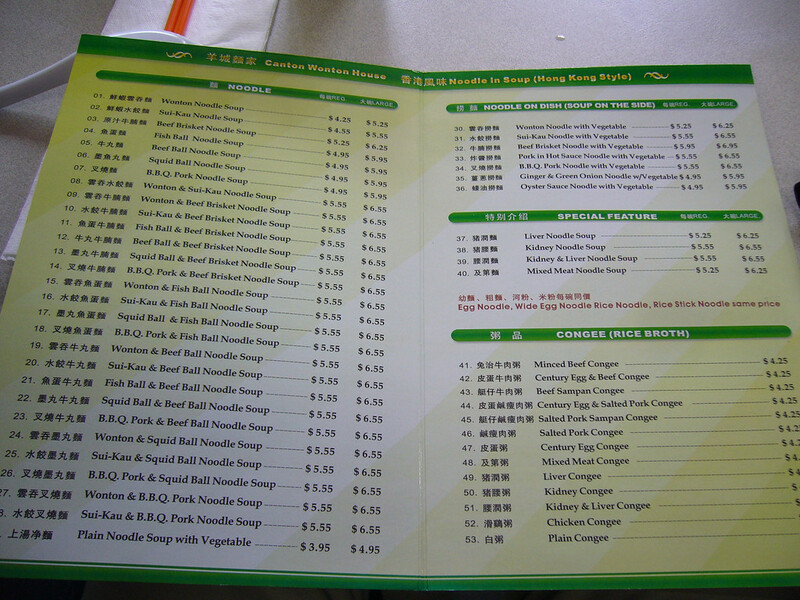 The noodle soup section sports various combinations of meat, won ton, and sui kau. I went with the Beef Brisket & Sui Kau Noodle Soup. The soups come in small and large options. 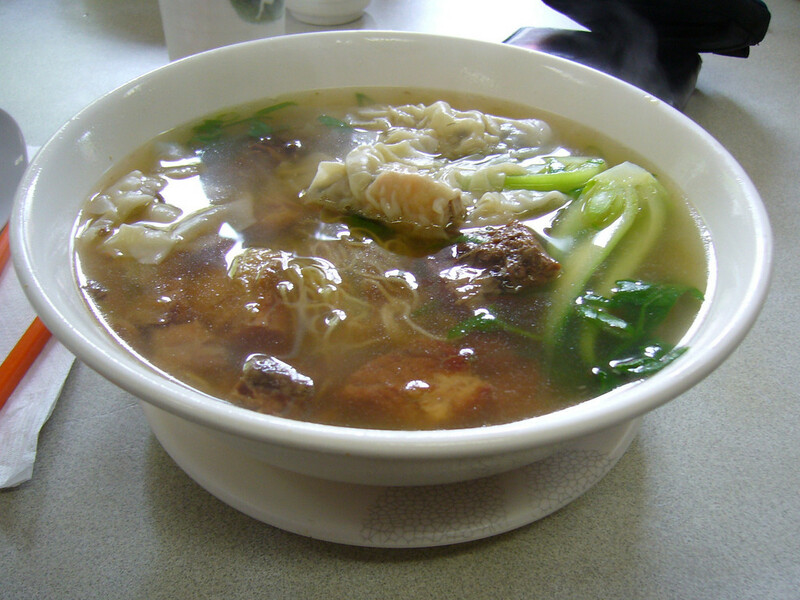 I went with the large hoping that meant extra Sui Kau not just extra broth. We also threw in an order of Baby Bok Choy. The server was very friendly and helpful. The soups came out quickly. Since everyone ordered large using the same logic, it was hard to tell if we in fact got more dumplings. It seemed like we did. The soup was packed with Sui Kau along with bok choy, noodles, and chunks of beef. The beef wasn't as tender as SNB, but it was just as good. The beef also imparted a rich beefy flavor to the broth. The Sui Kau were excellent and were chocked full of shrimp, mushrooms, and other Sui Kau goodness. Friendly service + good soup = 4 chopsticks. If I were Nebraskan and just got off the plane from Omaha or something and stumbled into Canton Wonton House, I'd probably be telling my friends "OMG OMG you have to try this little wonton house in Seattle it's sooooo good, hee haw." But as we winnow our list of places, and I can, without pretense, say I've eaten wonton noodle soup at EVERY place in the ID, this place comes up a little short. It's got the low-key curb appeal of a largely unknown place, the interior is sparse yet welcoming, and we were seated and served quickly. The waitress greeted us with a smile and waited patiently for us to make up our mind. 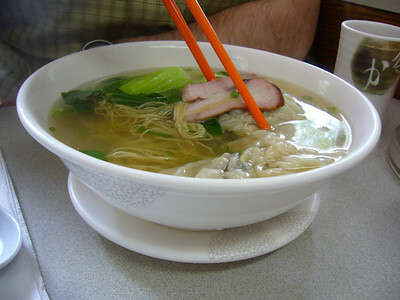 We got some bok choy as a side dish, and I ordered the Wonton Sui Kau noodle soup. The dish was served quickly, and was quite appetizing. 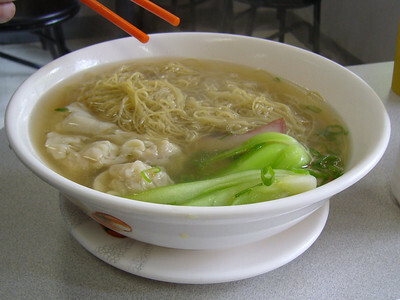 The broth however, was a little bland, the noodles were nothing special, and the Sui-Kau and Wonton, though tasty, couldn't compare to the giant brainy-looking wontons at Mike's nearby. Ocean City II across the street had a slightly more flavorful broth as well. A little hot sauce zipped it up. The bok choy was a tasty side, and the meal came out to be very affordable. Though tasty, I found the meal average compared to the other noodle places nearby. Is MSG good or bad? Is it just the ‘5th taste’? Or is it, as some articles on the internet it is the root of all dietary evil in the US. Obesity, diabetes, and the republican party are all a direct result of MSG in our food. Other articles, like that one in the NY TIMES, tell me that there is no clinical evidence that MSG is really all that bad. If it is evil and/or unhealthy can someone please provide links to a real, clinical, peer reviewed study proving that it is? And if its benign can we just get over it and move on? I wish I knew, because then I could come to terms with the issue of asking our server if they use MSG in their food. Every time I hear the question asked I cringe. Little alarm bells go off in my head to warn me that this might be one of those ‘dumbass ugly american’ kind of moments. For example – talking slowly and loudly will never get you through a language barrier. It just make you sound like an idiot. And asking about MSG will only net you the same answer you get every single time: “oh, we use just a little bit.” And really, if the stuff isn't bad for you, then what’s the point of asking? So that’s why I kicked Adam in the shins under the table. I'm sorry Adam. I'll make it up to you later with some spring rolls and beer. Oh yeah, and the noodles here were really good. You should have lunch here. When I want wonton soup I usually go to one of three places. 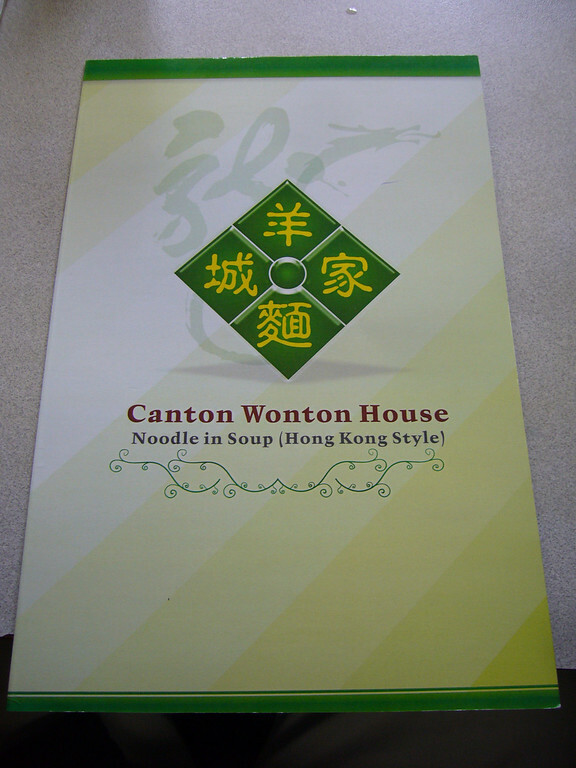 Mike’s Noodle House, Canton Noodle House (on 12th Ave), or Canton Wonton House… in that order. Mike’s makes the best wontons period, but not only are they often really busy but they have limited seating, so my backup is Canton Noodle House on 12th near Hau Hau Market. Their wonton used to be my favorite actually, but now I think it tastes pretty close to Canton Wonton House… so confusing I know, since their names are so similar. A bowl of wonton noodles at Canton Wonton House isn’t spectacular or anything, but if you’re craving a bowl of soup and noodles then it’ll get the job done. I was impressed however with how hot their soup was, so they definitely get brownie points there. I give them a standard 3 rating. Not bad, but not awesome either. This place is really delicious. I go there often. Regarding the BBQ Pork, it is home-made. The owner has his own recipe.